A modest wedge offers slightly grown-up sophistication. She'll love the wow-worthy wedge, featuring playful pops of color . This pair is perfectly designed for steady steps, as it features a single, slim sole that ideally balances the heel height with the rest of the sleek shoe design. This stunning pair of heels is ideal for weddings, parties and every other special occasion that calls for dressy, upscale shoes! Featuring a slim straps that hugs your ankle for custom support and provides a comfort throughout wear. 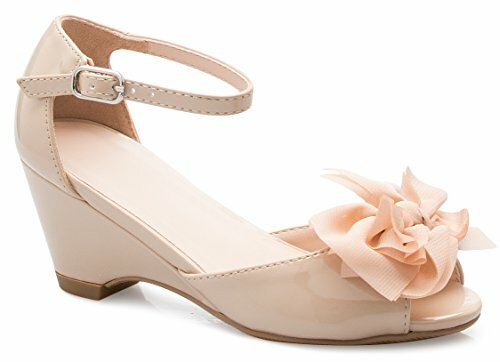 Your feet will not slip, turn or move out of place while wearing these gorgeous wedges! As in, no cares! Slip these on and don't worry, be happy, because they'll let you go about your day or summer adventures without having to think about them.